Events that require the use of audio-visual equipment can bring with them debates about what’s essential in making for a successful venture. That’s because some might like to see a grandiose spectacle that takes advantage of as much AV equipment as possible, while others prefer a more circumspect approach that simply gets the job done. Talk of AV equipment may not bring about thoughts of the lighting involved. Yet for those events where activity is taking place upon a stage of some sort, proper lighting is imperative to present a professional look. Nothing’s worse than having faulty or substandard lighting detract from what’s either being said or presented, which is why working with a company that has lighting options available helps eliminate such matters. Determining beforehand exactly where the lighting needs to be located will help avoid paying an AV company for items you don’t need. For example, if you know how the event is being put together, you can determine if such things as a spotlight or perhaps more lighting above a stage is necessary. 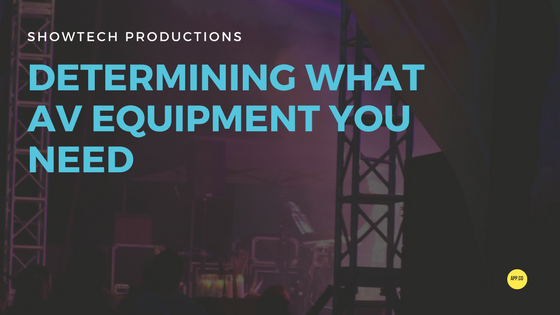 Just as the dreaded scenario of uneven lighting makes event planners cringe, so does audio equipment that hasn’t been tested out beforehand. Having a keynote speaker’s words going unheard because of faulty audio can be a disaster for any business event. It can also mar things like wedding receptions, something that’s supposed to be a joyous event that will be remembered forever. 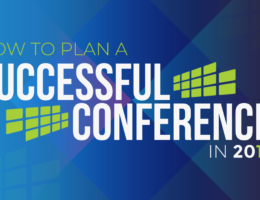 Having guests remember that they could barely hear a speaker or that the audio equipment kept going in and out can be a nightmare for things like trade shows. There, making a first connection is imperative toward laying the groundwork for what could be a fruitful business relationship. The same holds true for concerts, where an artist’s performance can be ruined. Understanding how large of a room is involved when using this sort of equipment can determine if items like speakers might be required. In addition, an individual’s movements during their talk can determine if things like a wireless mike might be in order. Documenting an event means making sure that the video equipment being used can handle the task at hand. This particular area has to be given serious thought because an event is a one-time happening, which means that having problems capturing moments because of video troubles can mean that they’re lost forever. In some cases, having an online audience means having video streaming. That entails the use of HD cameras, the proper internet connections and someone on hand to allow for a smooth presentation. Not considering all that’s involved can mean pertinent audiences might be shut out. Showtech Productions is the AV company you can trust to not only provide the AV equipment you need but also ensure that your event runs smoothly. That peace of mind is especially important for stressful projects that have to be done right, so make sure to call Showtech Productions at 972-988-0033 for your next event.